Porsche is finally ready to step up to the mark in the electric car market with a seriously good looking vehicle that will aim to knock Tesla off its perch. Unveiled at the Frankfurt Motor Show, the Mission E concept car is a four-door, four-seat powerhouse that brings 600 horsepower to the table and it can do 0-60 mph in under 3.5 seconds. Driving range, an important factor in the mind of any prospective buyer, sits at 310 miles (500 km) per charge and the time it takes to pump the Mission E concept's battery back up to an 80% charge is just 15 minutes. I'm sure you'll agree that's an impressive slate of stats, however, when it comes to beating the Tesla Model S P85D it falls short. Just. Elon Musk's model gives owners a whopping 762 horsepower and can go from 0-60 mph in just 2.8 seconds with a similar 300 mile range per charge. That speed is possible on Tesla's 'Ludicrous Mode' and even using the 'Insane Mode' the Tesla Model S can reach 0-60 mph in just 3.2 seconds. 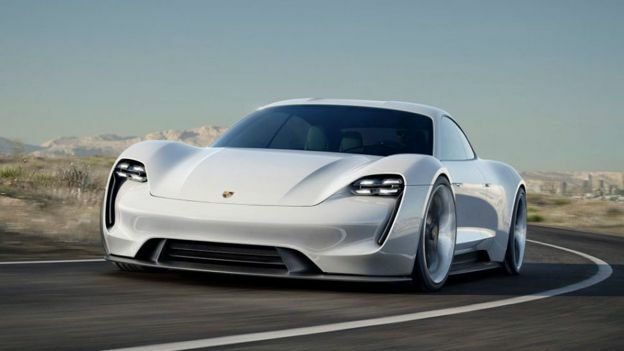 It will be a while before the Porsche Mission E car is on the road yet the fact they've got plans at all will be the music to the ears of fans of the German sports car specialists.